Every time I run out of a skincare product I save the empty packaging for weeks (sometimes months) in hopes of publishing a beauty graveyard post but I grow tired of waiting to build up a decent empties collection and end up throwing them away. However, I was running low on three products that I've wanted to review but never got a chance to doing so. Now it's their time to shine! 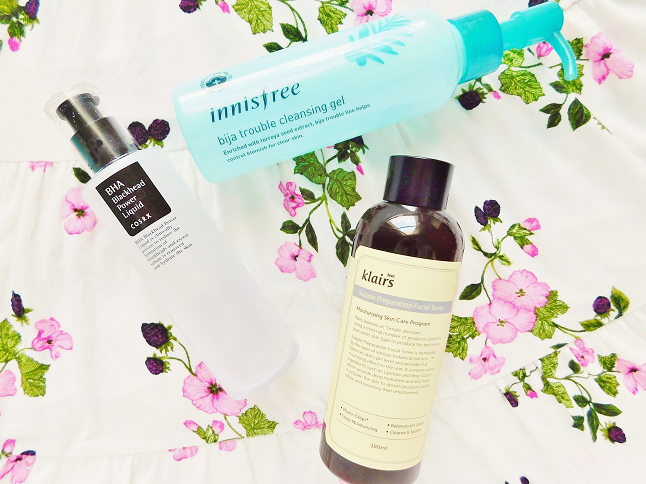 Three products and three mini reviews all in one post! 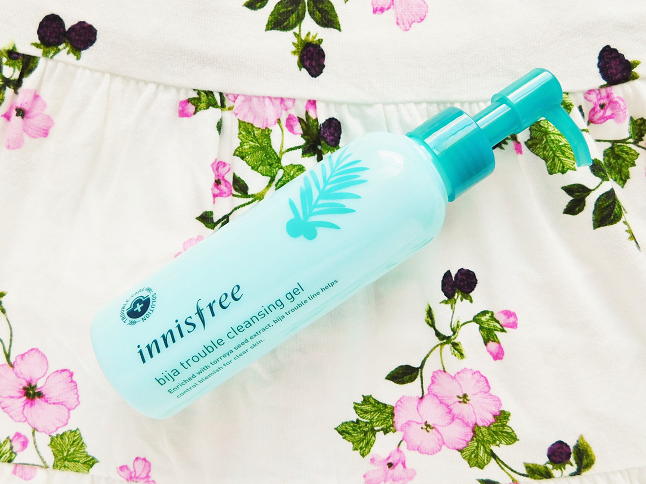 I'm still pretty new to the world of cleansing oils and have only tried a few others but the Innisfree Bija Trouble Cleansing Gel is one of my favorites that I've encountered so far. It's a gentle non-greasy cleansing gel that performs just as well as cleaning oils. I'm also sure that a Lush junkie would approve of the pleasant fresh scent. The only downfall is that it doesn't remove all makeup and sunscreen in one go so I would recommend you use this as part of a 2-step cleansing routine. I would still repurchase despite this small problem though. 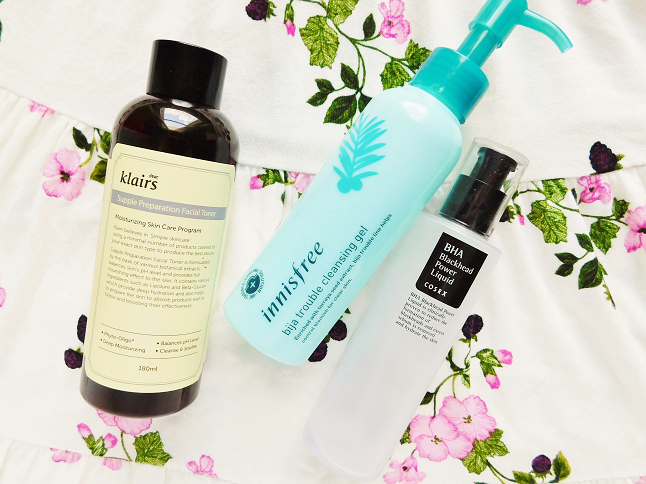 What I love about Korean toners is how hydrating they are. 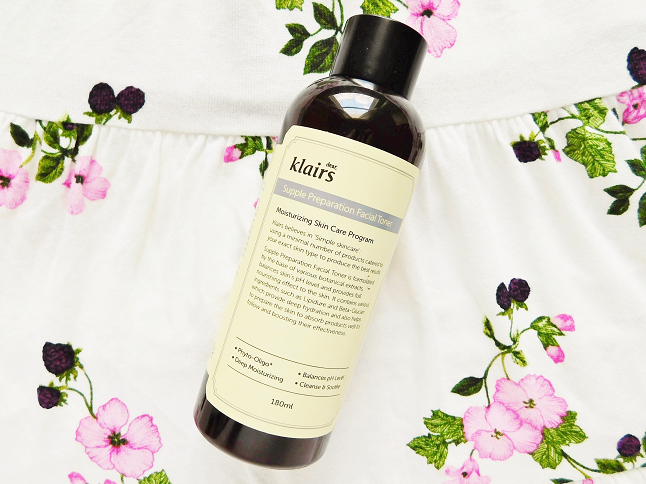 Not only do they help clear up your face but they're moisturizing which is why I fell in love with the Klairs Supple Preparation Facial Toner. 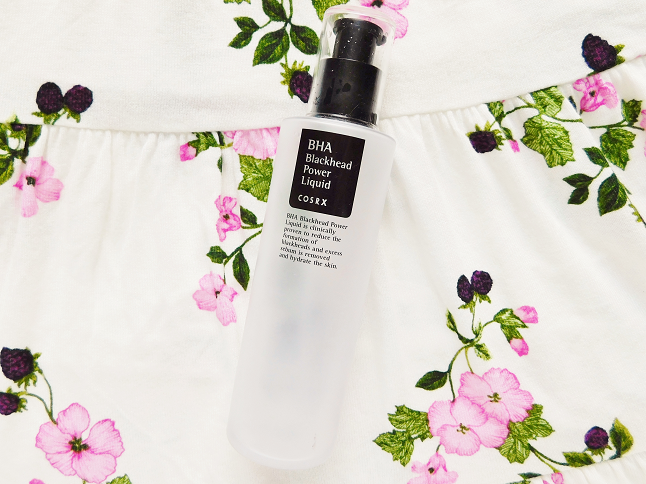 It's a refreshing toner that removes excess dirt and sebum. Reduces irritation and provides deep hydration all while restoring pH balance and it's also suitable for all skin types! It's kind of pricey for a toner ($25) but you are definitely paying for quality with this one. I will definitely be repurchasing this toner again. This product I'm still not sure if it did anything or not. I bought this product because I heard everybody rave about this product and how it evened out their skin tone and blah blah blah. But honestly, I've gone a couple months without this product but my skin hasn't significantly changed. I would apply this every night with my hands and gently pat in the product (you could use it on a cotton pad but I preferred using my hands). The liquid is clear and unscented it basically felt like I was applying water to my face. One thing I will note is that I do have a lot more visible blackheads on my nose but there were some days (while using this product) that I noticed the same blackheads but on other days they weren't as obvious. So I don't with this product.